Another Thursday, another throwback outfit! 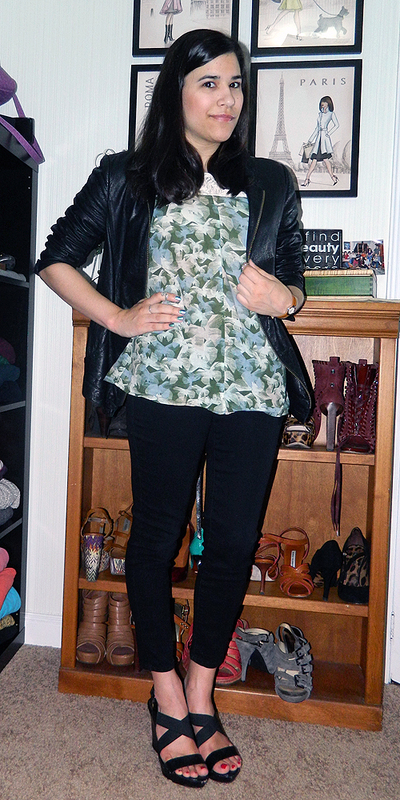 It has two of my old stand-bys in it: the leather jacket and sandals! Sadly the sandals are falling apart due to their age so I try not to wear them too much now. And I've been neglecting the leather jacket lately too...shame on me! Ack - those sandals are soooo amazing!!!! That jacket was one of your best buys... and I love the light chiffon print with it, kind of an unexpected mix.